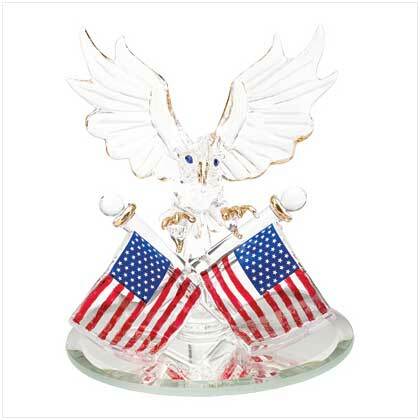 Any die-hard patriot is sure to appreciate this sparkling rendition of our beloved symbols of freedom, artfully crafted of gleaming glass. Inspiring figurine proudly features a high-flying eagle, his golden talons glistening as he hovers above a glowing pair of American flags. Sure to create a stir of pride in the hearts of one and all! 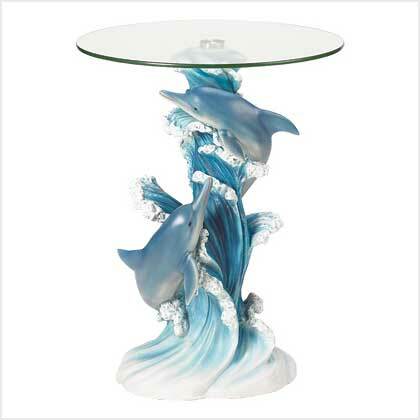 Glass with mirror base. 3" diameter x 3 1/2" high. Retail Price: $12.95.